Law Offices of Michael J. Wittick, a Prof. Law Corp.
What does a probate attorney do? Probate attorneys can help draft a will for a client. A probate attorney might also file the last will and testament of a deceased person. A probate attorney also represents clients during litigation when the validity of a will is contested in probate or surrogate court. Probate or trust litigation can also involve will or trust construction suits. 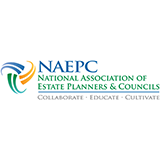 Hiring the right probate attorney in Rancho Cucamonga, California can help you make the right estate planning decisions while taking into considerations important state and federal tax consequences. 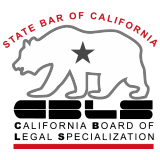 CBLS Board Certification in Estate Planning, Trust and Probate Law - Lawyers certified in Estate Planning, Trust and Probate Law with the State Bar of California Board of Legal Specialization have demonstrated substantial involvement in this area of practice. the protection of the property and provision for the personal needs of individuals unable to handle their own affairs by reason of age, illness or other incapacity."